Each year the Work a Day for Rinpoche campaign creates a very meritorious opportunity to contribute to the work and vision of Lama Zopa Rinpoche during the most auspicious time of Saka Dawa. One can of course offer support and contribute any time during the year. This year Saka Dawa is June 17th. FPMT International Office is Lama Zopa Rinpoche’s office and we work year-round to actualize Rinpoche’s wishes for FPMT to benefit as many beings as possible in as many ways as possible. Help us increase access to Dharma education and practice resources. Help us accomplish more than 20 charitable projects for a more compassionate world. Help us serve local FPMT communities. 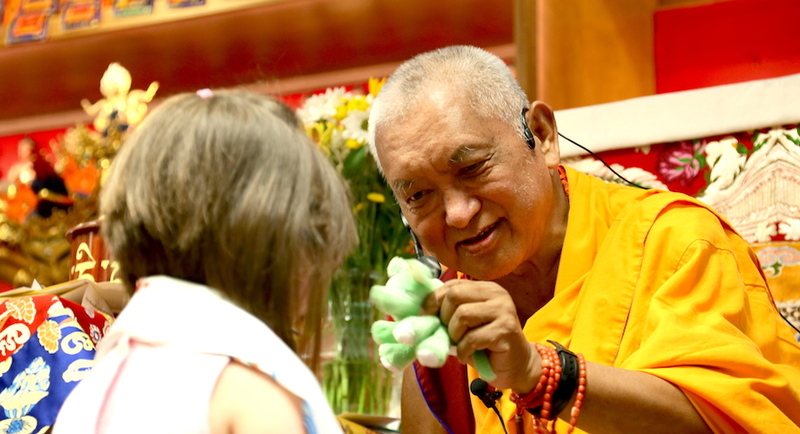 Join us as we work to fulfill Lama Zopa Rinpoche’s compassionate vision to benefit beings. You can “Work a Day for Rinpoche” by donating a day’s work earnings, or any amount, as a one-time gift or smaller monthly donations. For other forms of donations such as check or bank wire, please email workaday@fpmt.org. 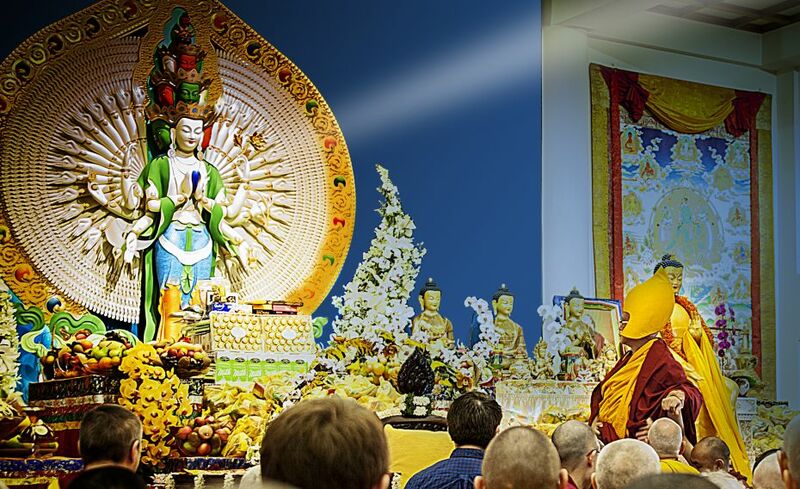 One of Rinpoche’s Vast Visions for the FPMT organization, which will span generations, is to encourage the recitation of the Sutra of Golden Light as much as possible, in as many parts of the world as possible. You can learn more about the sutra, download a copy, and also receive the oral transmission of the sutra directly from Rinpoche from a recorded video on the Sutra of Golden Light homepage. If you complete any recitations, be sure to report them for our worldwide count!